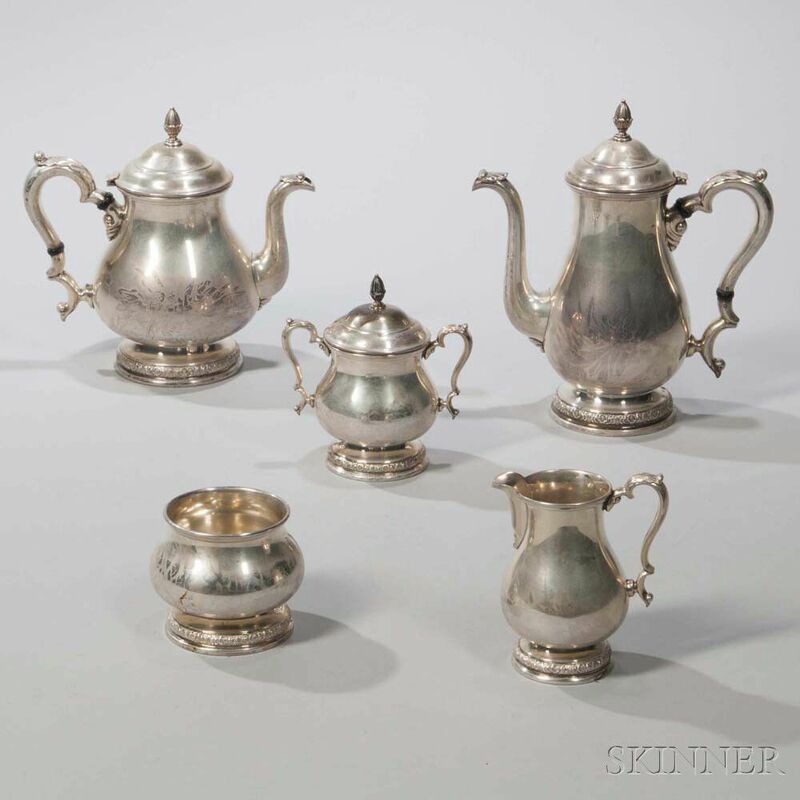 Five-piece International "Prelude" Pattern Sterling Silver Tea and Coffee Service, Connecticut, mid-20th century, coffeepot, teapot, creamer, covered sugar, and waste bowl, coffeepot ht. 11 in., approx. 73.5 troy oz.